Another lovely photograph. 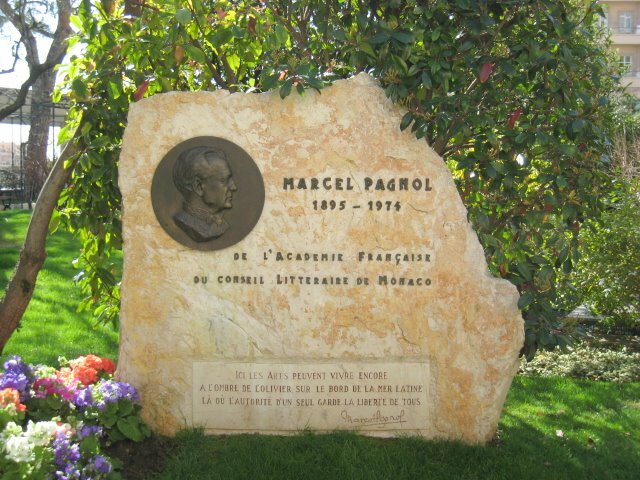 Pagnol wrote some delightful plays set on the old port of Marseilles which were made into great films - "Marius", "Fanny" and "Cesar". Just dropped in again for some sun......nasty forecast coming up here, followed by advance flood warnings.....Post #32 and the French Tourist Office speak with great truth AAArrrrgghh!. I also enjoyed though in translation Le Chateau de Ma Mere and La Gloire de Mon Pere both autobiographical. He certainly had a way with words. What a lovely memorial, and what an amazing man.